The 90’s are often considered the golden years of the RPG genre, and for good reason. It was during this decade that many beloved games and series such as Final Fantasy, Chrono Trigger, and Super Mario RPG were wildly popular amongst gamers. In the midst of such wonderful titles stands a game that, while praised often as a gem of the era, is still frequently, and undeservedly, considered inferior to other games of its time. Earthbound (or Mother 2), released in 1994 in Japan and 1995 in the States, is a game that knows how to stand out. The games setting differs from most other RPG’s in that it took place in the fictitious and modern nation of Eagleland in the year 199x, which was unheard of in a genre full of swords and sorcery. 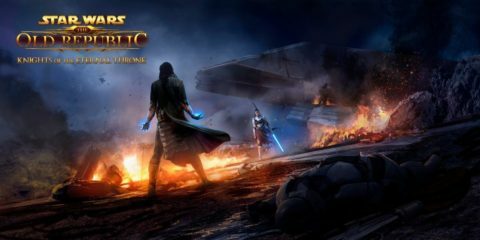 Castles became suburbs, swords became baseball bats, and dragons, demons, and necromancers were replaced by corrupt policemen, angry hippies, and ducks. Earthbound’s protagonist isn’t some battle-hardened warrior or a powerful mage, he’s a little boy who can’t even leave the house until he changes out of his pajamas; A little boy who sets out to defeat a terrifying alien overlord because a space-bee from the future told him to. Woah. If this all sounds a little strange, that’s because Earthbound is undoubtedly a very strange game. The entire experience has a sort of Saturday-morning-cartoon-on-acid vibe to it. Mother 2 frequently throws out pop culture references from The Beatles and the Blues Brothers all with it’s own sardonic twist. While Earthbound does somewhat tackle real world themes like police brutality, religious fanaticism, and negligent parents, the game more often than not doubles down on the absurdity as the story progresses. 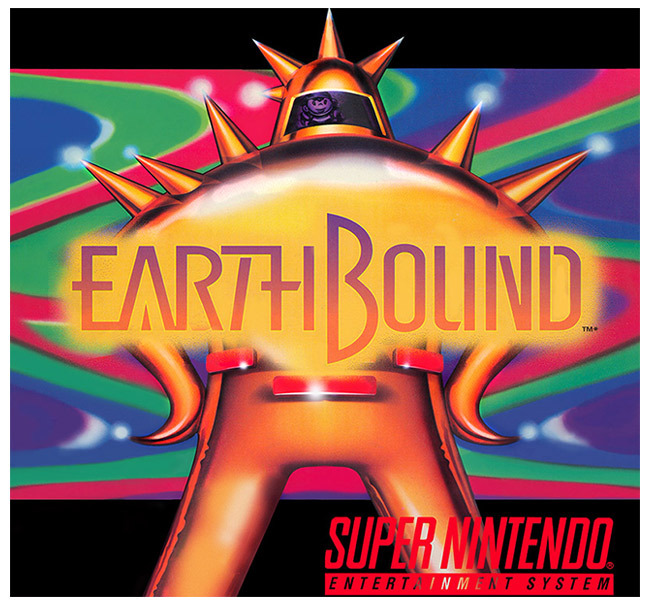 Ness stops a zombie apocalypse, travels through a alternate reality version of the city of Fourside, and even fights a living pile of puke over the course of his journey, and that’s only part of the ludicrousness that makes up Earthbound’s narrative. While the absolute craziness of several plot points adds to Earthbound’s oddball charm, the game truly shines in it’s ability to create intimate moments of characterization in a game where the playable characters do not speak more than a few lines. In similar games of its time, silent protagonists functioned as little more than a blank slate for the player to project themselves onto, without any true characterization. Earthbound takes its’ unspeaking hero and gives him depth. Subtleties about the game, such as Ness’ father, who will save your game, being worried about you if you don’t take a break from adventuring, or Ness being homesick reminds the player that Ness is just a little boy with the burden of saving the world on his shoulders, and sometimes he just needs to hear his mother’s voice. In a particularly powerful moment approximately 25% percent into the game, the game has the player take a moment to reflect on all the things that have happened in the short time that the player has left home. It’s a fascinating scene, that makes players feel like they’re apart of something far bigger than they initially believed. Earthbound is truly a game that must be experienced. It’s a game that can’t be compared to any other as it is unmatched in it’s surreal quality. The adventures of Ness, Paula, Jeff and Poo have a heartfelt and soulful air to them that has yet to be matched by any other game. While many games have emotional moments but few games can be a true emotional experience, and in such consideration, Earthbound is unmatched.